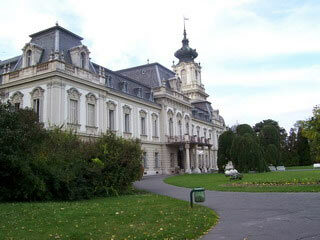 Keszthely: Festetics palace: 500,- Ft/Pers, student: 850,- Ft/Pers . Visiting the ancient church of the Árpád era in Hévíz. Lunch on the wine hill, delicious Hungarian dishes with a fantastic panoramic view. (2 hours). Bathing in the thermal water bath.